It's players like the ones above who keep the fire of competition alive and well. They show no matter what level, anyone can enjoy StarCraft. A special salute to them! As for the fiercest top twenty, we have an exciting new set of players, shockingly different from last season; some oldschool and others fresh to the scene. Starting with North America, we have TT1, an oldschool top Canadian Protoss known for his incredibly macro-focused play. Just ahead of him is Sugo (aka Msitua) at number 4. Last, but not least is big-time streamer and personality, Jaeyun, who last competed in BSL 4. We have much to look forward to the greater NA representation alongside staple Canadian Protoss, Dragon. Just south of the equator are two Zergs who stand out by being cast in complete darkness. Who are they and will their true mettle show when pitted against the top? They include Wing'Zero from Peru and Dark from Bolivia. Most surprisingly though at number 6 is GosuDark, a definite underdog, and mostly known for his unpredictable and at times crude gameplay. They join regular top players Terror, Dandy, and Babo (aka CHILE). And finally, all across the sea are the Europeans, comprising the majority of the top players. Among the newer faces are Nemu, 2v2 specialist, Arew (aka CHOBO), methodical macrotoss, Casper (aka Kasir), Terran underdog, and Kame, the lone Swedish player. They play to make a name for themselves among top dogs Bonyth, Dewalt, Eonzerg, Koget, and many more. 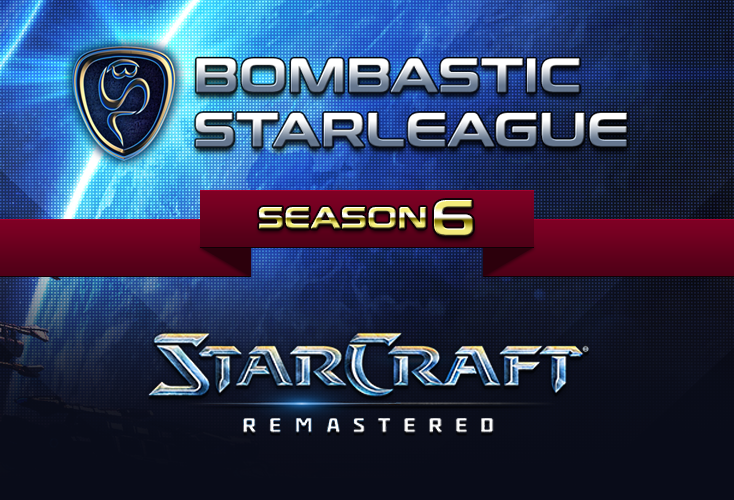 While BSL6's reshuffled cast of top contenders is exciting, that also means many of last season's players didn't quite make the cut. Among them Cryoc and Ty2 fell just short, placing in GosuLeague. Other honorable mentions include Castro, Rasowy, and Czitek, who played several dozen games in a valiant effort. Going onward, how exactly will the new contenders of BSL fare against the reigning elite? Surpassing many of the previous season's contestants is sign enough that they are worthy and more than up to the challenge. Looking at these promising players, every new iteration of BSL appears to attract more and more players like moths to the growing flame of competition. With the most recent wave, players are fresher, hungrier for competition, and looking to shake-up the ranks. Truly no one is safe in BSL 6. Make sure to tune in to this coming weekend for Group A and C as new storylines are written, and older ones threaten to fade. This marks Jaeyun's first time in the ro24 against Russian regular, Spx. I find the low stakes of the ro24 will allow Jaeyun to make his usually methodical plays under low pressure. Given that this is also Spx's worst matchup, I favor Jaeyun to win. Opposites look to attract in this matchup, as Gosudark wreaks havoc, and Arew upholds order. That said, Arew's understanding of the game is more nuanced, but how good both players' PvPs is a bit of a mystery. And again, given the volatility of the matchup, Gosudark can sneak some wins, and possibly take advantage of some predictably safe robotics play by Arew. Still, there is much merit to Arew's lategame management and strategy that gives him the edge to likely win. Saying who will win is difficult, but Arew's mind over matter style of large army control will likely stump Jaeyun. Whether Jaeyun can pull off as good a macro game as Arew is also up in the air. Ultimately, Arew will win. Spx will likely play safe against gosudark given the protoss' reputation. This is also Spx's best matchup, and is likely to be a clean sweep. Whether Gosudark wins or not I believe will be a showcase of whether he can achieve a wide repertoire, or just go for a really crazy play. All talk aside, Spx will likely dominate 2-0. In another rematch, this time around will likely be no different. Spx's great plays and consistent pressure are just too few and far between to really make a solid player like Jaeyun struggle. An 8-rax, or other diverse play to mind-game Jaeyun will be essential to turn the tables, or face an early exit. Overall, Jaeyun will claim victory. Jaeyun and Arew advance to the ro16! This will be Dark's BSL debut, and for Terror perhaps a mere formality to enter the Ro16. Before people wave off this match, Dark will have to let his playing do the talking to keep eyes on him. Here, he has a lot to prove to be taken as a serious competitor. In any case, Terror is the safe bet to win. Terror is well equipped to weird-out and cause Zergs to fumble. No doubt he will pull another one of his tricks out to stump our Zerg newcomer. I think Sugo will meet a swift end by 3 hatch hydra or some other related cheese. If Dark is aware of Sugo's 1 gate, or perhaps even 2 gate tendencies, I feel like he'll get the leg-up on Sugo's predictability. Finally arriving to a ZvZ, I believe Nemu the 2v2 specialist, the Micro boss that he is, will eke out the victory. Nemu and Terror advance to the Ro16! You are finally getting it almost right TL!!! Congrats. Terror has grown in my absence I have heard, and I'm sure he has but he surely remembers what uncle NeMu delivers on a good day! I hope he gets the nudge though so I can showcase you how la confidAnt I am vs any Amateur zerg player! Teamliquid or the person who wrote this article WILL pick my race 24hours prior to our match which is soon. I Love zvz, tvz, pvz and RvZ ^^^^^^. Thanks in advance!!! #1v1, 2v2, 3v3, 4v4 specialist!!! Can we ban nemu or? They are underestimating you! I beLieve you can do it! You got better for sure. I hope you guys will bring your A-game, ur up against the kamekazi now. Woah!! I got noticed for playing too much? Awesome, next time I hope to advance at least to chobo league. @Ty2 ??? Pick!!!!!! vs Z what ? Is there a group B + D preview coming soon?